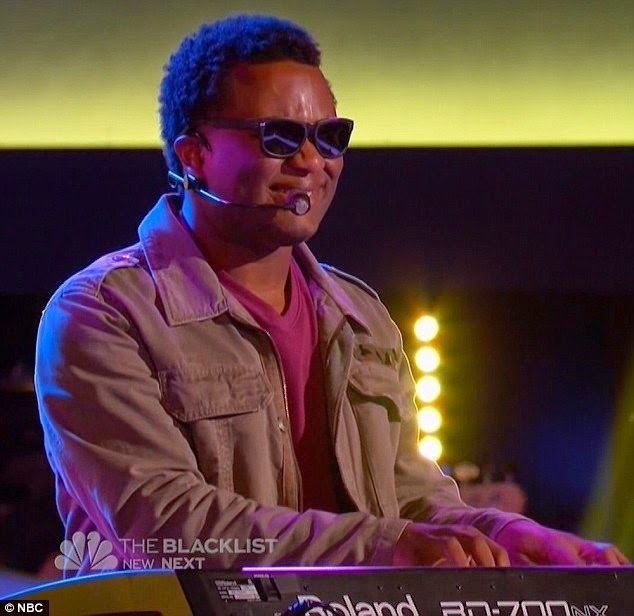 The blind audition rounds of The Voice took on a new meaning on Monday with the show’s first blind singer. 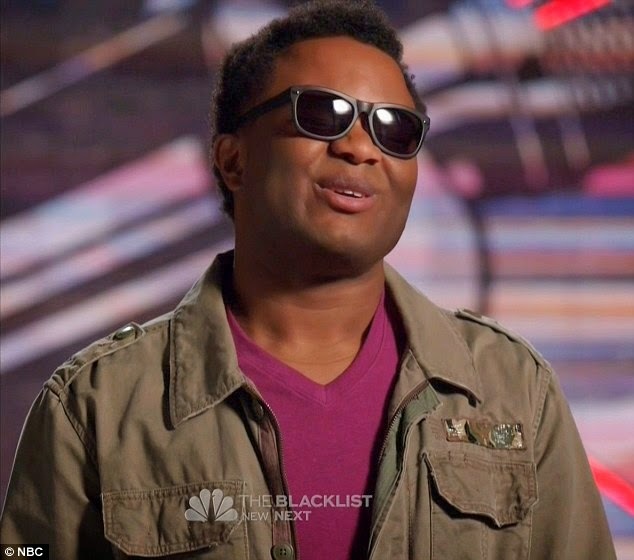 Nigerian-born Blessing Offor, 25, blew away all four judges who turned to try to get him on their teams after his stunning rendition of the Bill Withers soul classic Just the Two of Us. ‘Oh shoot!’ replied Blessing, who was born blind in one eye and then lost sight in the other when he was accidentally shot by a water pistol, detaching his retina. Despite his soul sound, Blessing had entered the competition determined to wind up on Blake Shelton’s team as he has spent time living in Nashville to connect with songwriters there. 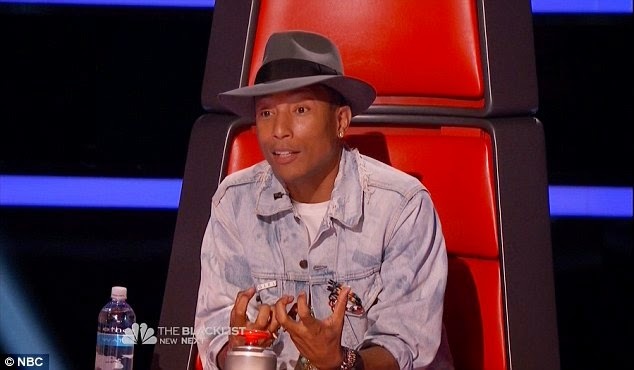 But he eventually ended up picking Pharrell Williams as his coach after the Happy star said he was excited at the blend of country and soul he was suggesting. Blessing, who moved to the United States as a young boy to get treatment from congenital glaucoma before fully losing his sight in the water pistol accident, had a philosophical take on losing his sight. ‘I was left with no vision and had to figure out what God meant by this,’ he said. ‘But on the other hand it made me do all this with music.